If you are an indie author or website designer there is a new tool you should add to your arsenal called Fontreach. It crawls one million of the most popular websites, and provides data about font usage across the web. 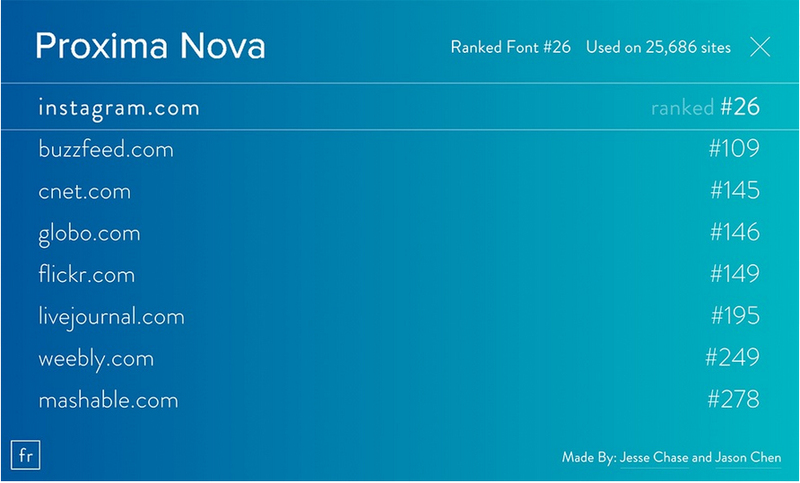 It allows us to answer questions like, ‘How many sites use Proxima Nova?’ or ‘Which fonts are used on cnn.com?” We now have data around the world of web fonts. Many authors have their own blogs, write serialized fiction and its important to standout in a crowd. What I like about Fontreach is that it allows you to explore what other sites are doing. Not only can you see what the most popular fonts that are being employed all over the internet (its Arial), but you can click on a domain to see the complete stack of fonts it uses, which can lead to font discovery. I think the other segment that might really dig this service is app developers who are focused on digital reading. Most of the current crop of popular apps such as FBReader, Moon+ Reader, Aldiko or Instapaper have been using the same old fonts for many years. It is very likely Fontreach will help the current crop of e-reader apps incorporate new fonts and have more of an appeal.